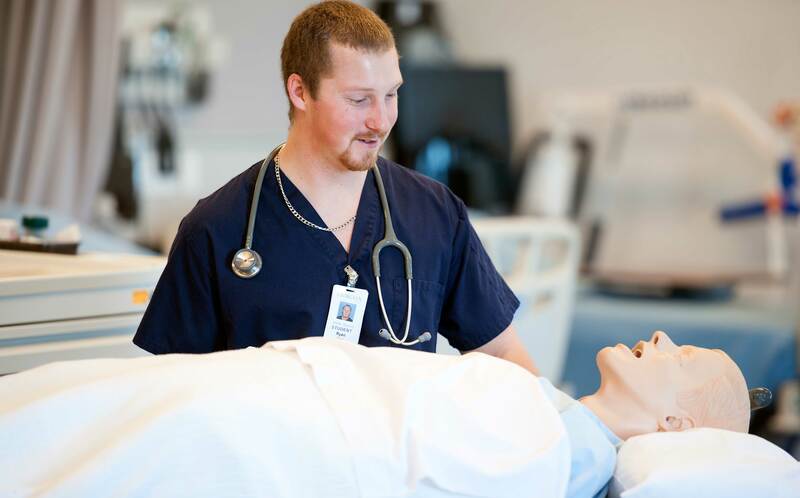 Bachelor of Science in Nursing (BSCN) Collaborative Program Become a future nursing leader recognized for your passion for knowledge, inquiry, human science and social justice. The philosophy and curriculum of this collaborative program incorporate and utilize the concepts of caring and human science as the basis of nursing practice. Students work collaboratively with peers and faculty to explore nursing knowledge and caring practice. In the classroom, student learning activities focus on the nursing care of individuals, families, groups and the global community. In the practice setting, under the guidance of a practicum mentor or preceptor, students integrate knowledge from program courses to provide holistic, client-centred nursing care. In order to provide quality practicum placements, students are placed in a variety of agencies in the region serviced by the campus. Students are required to provide their own transportation to practicum placements. NOTE: Years 1 and 2 are offered at Georgian and years 3 and 4 are offered through York University. This program is highly competitive. Learn about admission requirements for highly competitive programs. A Registered Nurse is a valued member of the health care team. Graduates provide nursing care in settings such hospitals, nursing homes, homes for the aged, family health teams, community centres, clinics, industry and public health agencies. If you choose to work in a specialized area you may need additional education or work experience. Please refer to the College of Nurses of Ontario website (www.cno.org) for additional information on the scope and role of the Registered Nurse. Mature applicants may also be considered for admission and must meet subject prerequisites prior to registration with a minimum grade of 70% in the prerequisite courses and an overall average of 75%. Applicants from the Pre-Health Science program (available from Georgian College) must also be graduates of that program. Must not have been enrolled in a formal education program for a minimum of two years if applying as mature student. A recent resume and cover letter is required. Must have no recent unfavourable academic performance. Applicants are encouraged to visit the Georgian or York websites to verify specific course pre-requisites. We will consider a combination of OACs and Grade 12 U or M courses for all secondary school applicants. Note: Enrolment in this program is limited. The admission average is determined annually and may be higher for acceptance in any given intake.